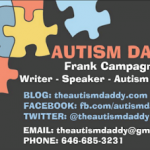 Autism Daddy Now Available For Speaking Engagements -- Check Out the Video of My Speech! 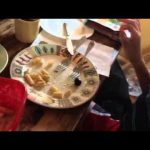 So I have a wife and a 12 year old son with severe, classic, nonverbal autism as well as somewhat severe epilepsy. And I’m in no way a perfect special needs dad & husband. I’m not even good. I’d say I’m pretty good. And I can always strive to be better. And no one, including our wives, are asking us to be perfect. I’m sure they’d settle for pretty good. 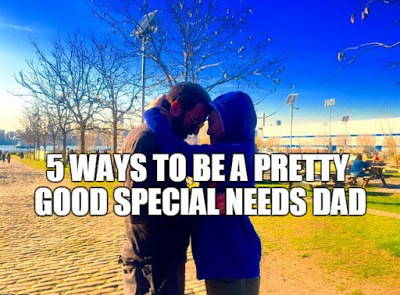 So here’s 5 things I’ve learned over the years that I think make me a pretty good special needs dad & husband. 1) You don’t need to reinvent yourself and become this super amazing special dad. That’s not what your spouse or your kid is looking for. Just be a wee bit better than the father / husband you were before the diagnosis. If you were the kinda father / husband that went out 3x a week with the fellas, poker one night, golf on Saturday, football on Sunday, then that’s the precedent your family dynamic has set. So when autism or epilepsy or whatever enters your household don’t think your family is looking for you to drop everything, just drop one of them, maybe two on stressful weeks. 2) Readjust your priorities. If you always pictured yourself as the type of dad who was gonna spend the weekends trapped in your garage working on home improvement projects all day, hopefully eventually with your son, you need to let that go. And you need to evaluate is this home improvement project really necessary or am I using this as an escape from my autism kid & my wife. Now home improvement is just an example. I am not and have never been a home improvement guy but maybe sometimes in the early days of our of our autism life I would use work as my escape and maybe work later and stay longer than necessary. But then I realized I was using it as an escape and that wasn’t fair to my kid or my wife. So evaluate yourself and realize what your escape is and adjust accordingly. 3) Have roles and jobs in your special needs household that are entirely yours. I am and have always been the sleep guy. It’s my job to put Kyle to bed each night. We didn’t decide on that or have a formal conversation about it but it just evolved over the years and became my role. I’m also the medicine guy. I stay on top of all of Kyle’s meds & vitamins, putting them in his weekly dispenser, re-ordering them when they run out, picking them up at the pharmacy and for the most part I’m the one giving it to him each day. Lately that means getting up at 4:45am to give him one med that needs to be taken by itself and then getting up 45 minutes later to give him the rest. Those are 2 roles that are entirely mine. I’ve got a few more. Wifey’s probably got 50, but being able to take a few entirely off her plate is definitely a help to her. Maybe I’ll work to try and take a few more off her plate. 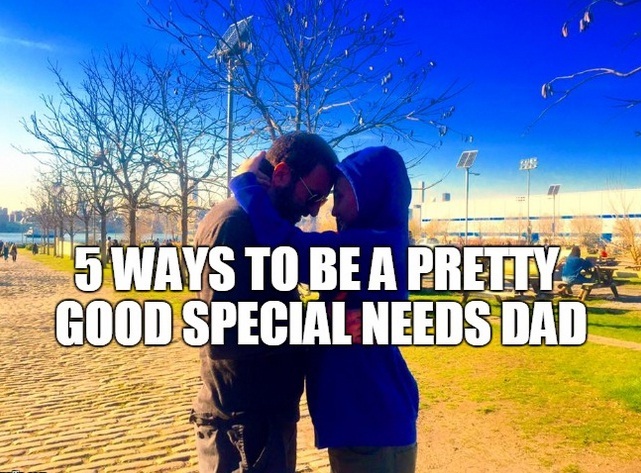 4) Have alone time with your special needs kid as much as possible. And during those alone times encourage your wife to go out and take a break as much as possible. And look your killing 2 birds with one stone! Your kid needs alone time with his dad. That’s always valuable and important to both you and your kid. And your wife probably really needs a break. Sometimes for us, it’s as simple as me volunteering to take Kyle to his special needs swimming & music without Wifey on a Saturday morning. This way she can sleep in and then go to a yoga class. And also encourage your wife to have hobbies, hobbies that are not special needs related. Researching autism treatments during her down time is not really down time. 5) When you are with your family, just be there… be present. I have the hardest time with this. And for me having a smart phone and having social media and this autism daddy page is my kryptonite. Sometimes when I’m with my wife and kid I’m not really with them because I’m checking my phone for the score of the yankee game or trying to see who commented on my latest blog. And if I’m doing that then I’m with them but I’m not really there. You know what I mean. So sometimes, and this is hard for me, I try to put the phone away for the whole day and just try to live in the moment with the people who are in my presence and not worry about what’s going on in my smart phone. Now maybe a smart phone isn’t your kryptonite but maybe something else is. Figure out what is consuming your thoughts when your with your family and work on putting it aside and just living in the moment. That’s it. That’s my five. Moms & dads let’s hear what you’d add to the list. And Happy Father’s Day to all the great dads out there and to all the single moms who play both roles!! If you’re gonna shop Amazon anyway, can I ask that you enter Amazon by using the search box above or by going to http://www.amazon.com/?tag=a050ef-20 This way I can make a little money to help pay for my son’s after school & weekend therapies. This blogging thing has been awesome & life changing for me… but I must admit that it’s taking up a lot more time than I ever thought… so if I can make a few bucks it’ll make it easier for me to justify….Love you all! Thanks!! This is such a great list of advice, I totally agree. Especially numbers 1 2 3 4 & 5 all of those could've saved my marriage! Escape isn't always wrong or bad. Sometimes, it's a necessity, otherwise you break down. Thank you so much for your post, in summation my son is 4 and suffers pretty much the same conditions as your son, we have no real support system, between long distance relatives wishing they were here 🙁 and the nearby in denial that there is such a thing as autism D: it is up to us to give all the love and support to our son. For a while my husband has been coming home and feeling he has done his share by providing for us, I became a weeping mess, of exhaustion, anxiety, and depression. I copied your post to my husband and he has made a change. 😀 😀 😀 Tiny things could be such a relief to us Asdy mommies, don't get me wrong my hubby is a great man, he just sometimes overlooks how exhausting our little man can get. No one in this world can deny the importance of a book in our life. Whatever we have learned in our life is just because of books and still we are learning a lot from the books. The hoi while reading books we feel cannot be described in words and essaysenter is there to help. Nice post. I hope you had a wonderful Father`s Day! Your son and wife are so lucky to have you!